Given its arrival at the very top of this list for the first time, like a bolt from the blue, it’s worth examining how Maison & Domaine Leroy has risen so far, apparently so quickly. Simply, it’s because the two entities have now been counted together rather than separately as they always were before (for this reason Faiveley is also new to the rankings this year). Last year, Domaine Leroy was 94th on the list and Maison Leroy wasn’t even in the top 100. If they had been combined in 2017 then the resulting company would still have been ranked only 85th. With that in mind, “a jump from 85th to first place is still impressive,” notes Gibbs. As he explains, Leroy was in the top 10 rankings for four of the five main categories, including price performance (where it came top), total trade value (nearly £1m), and the number of wines trading because it has a “bonkers number” of labels, according to Gibbs. This in turn means its average price is ranked way down at 61st with an average of £1,800 per case. Apart from that it’s a label that’s doing “everything right”. This elevation of Leroy is also an example of the forces shaping Burgundy at the moment. Demand is going up but, bar the last couple of vintages, there have been some pretty heavy crop losses in Burgundy that have shrunk supply – helping boost prices as already small quantities are stretched ever more thinly. Domaine Leroy is slightly different in this regard in that it actually began as a négoce house, Maison Leroy being founded in 1868. 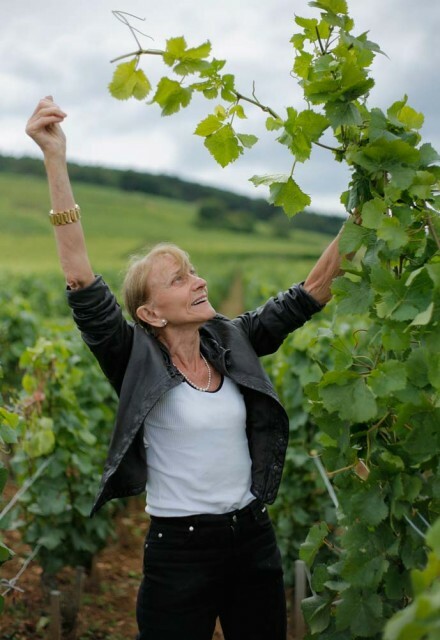 Domaine Leroy was not founded until 1988, when Lalou Bize-Leroy bought Domaine Charles Noellat to produce wines to her own stringent specifications. Nonetheless, unlike other Burgundian houses, which are only now turning towards négoce operations, Leroy is rather further ahead and, therefore, better able to provide wines for those looking to buy into its brand. If the domaine ever does go on the market, it really would be a tempting prize. • Burgundy 150 is the best-performing index this year (up by 25.5% in the year to date). • Market share has increased from 9% by value in 2017, to 12% in 2018 (year to date). DJ Khaled is not a name one would usually associate with Burgundy, but the American DJ and record producer played an important role in boosting one label this year. In 2017, Dujac was languishing in 177th place in the list. This year it has risen to 35th, a mighty change of 142 places, making it the highest riser in the Power 100 this year. Liv-ex suggests that a big part of that was because Khaled announced through his Instagram account, later picked up by Vogue, that it has become his wine of choice after he was introduced to it by Jay-Z (who no longer drinks Cristal, of course). Dujac was even name-checked in the song Top Off – ‘Dujac by the mag that’s how we do wine, $91,000 for a wine bill, keep it real with you.’ Well, quite. Could Burgundy be hip-hop’s new love affair? The Côte d’Or won’t know what’s hit it. Elsewhere, DRC powers on. Prices are up by 33% on average, its average trade price of £30,472 continues to be the highest in the world, and with 75 different wines traded, it is also the leader in that field by some margin. Meanwhile, shortly after Bize-Leroy denied rumours of a sale, the news arrived that her nephew, Henri-Frédéric Roch, had died, aged just 56. 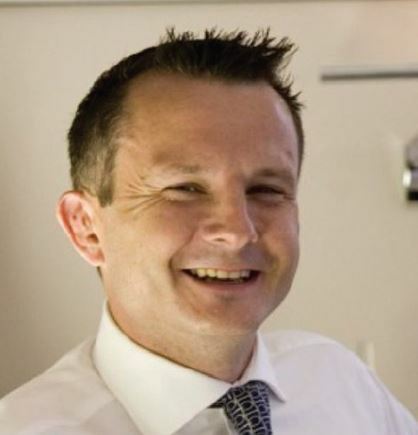 The owner of Prieuré-Roch and co-director of DRC, his death is bound to cause some major changes in the highest echelons of the region’s domaines. Other Burgundian names with rapid rises this year include Comte Liger-Belair, Louis Jadot, Emmanuel Rouget (nephew of the famous Henri Jayer), Marquis d’Angerville, Coche Dury, Clos de Tart, François Lamarche and Pierre-Yves Colin-Morey. It’s the first time in the top 100 for the latter, which enters at 52, with a price performance that matches DRC over the past year (33.5%). Also intriguing is Lamarche. Not a widely-known name but with serious geek appeal because François Lamarche is the owner of Grande Rue, a sliver of vines between La Tâche and Romanée- Conti, which is, “incredibly good value by comparison”. Slipping down a bit is Ponsot, in part, Gibbs suggests, in what could be a reaction to winemaker Laurent Ponsot leaving to set up his own business. All in all, said Gibbs, when it comes to Burgundy, rising prices are forcing buyers to look elsewhere “but they’re not stepping away from the rock stars” – or rappers… perhaps. Burgundy and Italy have continued to go particularly well. Those would certainly be the stronger areas as a whole. The other one you could include is any Champagne with an ’08 on the label and Salon ’07. Bordeaux is much more patchy. As for disappointments, you could say Bordeaux ’17 because the wines were still good. Consolidation, probably. Driven by flat ’17 primeurs and also, while Burgundy was very popular, the 2016 vintage was small. We could have sold more, even quite a lot more. During the first half of the year, prices were on a pretty heavy upward curve, and that probably consolidated rather than carrying on up. This remains as it has been for a couple of years; people are definitely looking at opportunities in Bordeaux to pick up things they don’t have or want more of. People realise how good drinking the ’12s and the ’14s will be, but there is not a massive demand for them. Which countries/regions/AOCs do you see coming on strongly at present and you would expect continued interest in next year, and why? Italy, and northern Italy in particular, continue to come on strongly. People are looking at Germany and California, South Africa and so on. And they are looking quite broadly for estates they can get their head around, that they like and that aren’t massive. People are looking for more eclectic things. The Rhône and Germany have had a 10-15-year run of really quite nice vintages; they are still overlooked and represent really good value.